The West African Examination Council, WAEC, Wednesday confirmed that the embattled Senator Ademola Adeleke who was accused of not having its certificate actually wrote his WAEC exams in 1981. In a report published by Thecable, the council confirmed Adeleke’s participation in an affidavit deposed at an FCT high court in Bwari, Abuja, on Wednesday. In the affidavit sworn to by Henry Sunday Adewunmi Osindeinde, deputy registrar, head of school examination department, WAEC confirmed Adeleke sat for the May/April 1981 at Ede Muslim High School in Osun state. Recall that the dancing senator Adeleke who is also the Osun state PDP gubernatorial candidate was accused of not having West African School Certificate and he did not graduate from Jacksonville State University (JSU) in the United States by icirnigeria.org, Rasheed Olabayo and Oluwaseun Idowu respectively. In view of that, policemen from Force Criminal Investigation Department (FCID), Alagbon, Lagos in August 2, started an investigation and stormed Ede Muslim High School I, where the principal of the school, Mr. Khalid Abbas, was arrested and taken to the State Criminal Investigation Department (SCID) Osogbo. In a bid to maintain the democratic principle and rule of law, Court therefore gave WAEC five days to produce Adeleke’s results. 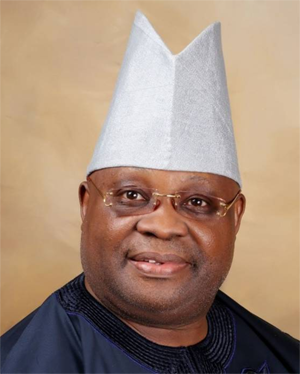 The court, in a ruling that was delivered by Justice Othman Musa, directed that WAEC should depose an affidavit, to either deny or confirm that Adeleke who is currently representing Osun West Senatorial District, sat for the Exams the Council conducted at Ede Muslim High School in Ede, Osun State, in 1981. WAEC today however, confirmed that Adeleke sat for its examination.